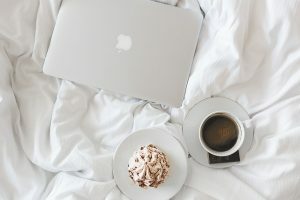 Pour yourself a cup of something delicious or grab a treat and check out some of my favorite recent reads about raising tweens and teens. What I love about these posts is that they offer a lot of information on how to make things better, from improving your relationship, encouraging your kids to get more sleep, and handling violence on social media. "The adolescent years are an important time of change for parents as well as teens. While it is easy to get bogged down in differences in perspectives, interests and goals that exist between youth and parents, it is important to remember that parents continue to play a central role in their youth’s development. Our relationships are often a reflection of our own place in life. Parents who are aware of how their own development might influence the way they relate to their teens, are more likely to view their changing role in a positive light. Equally important, parents who see these changes as opportunities for their own personal growth are more likely to have fulfilling and satisfying lives as they continue on their own journey through life." "[E]xplaining the science to teens again and again presumes that they think rationally about all of this. None of us think rationally about sleep these days, especially not teenagers. It is totally normal for teens to take stances on things that are seemingly irrational to us from an intellectual or 'economic' perspective, but that make perfect sense to them socially and emotionally. Once we accept this, there are strategies for us to influence our adolescent children that have the potential to be far more effective than laying out a logical, science-based case." "You can’t control her; you can’t put her in time out like you once did. You can take away her devices, but that may amount to cruel and unusual punishment that may be more of a headache for you than for her. But you can improve your relationship and make both your lives easier by changing your responses to the behavior she dishes out. Here are four common issues I’ve run into in my family therapy practice as well as in my interactions with my own teen daughter—and four tweaks to improve the outcome." "[J]ust because we have 24/7 access to news doesn't mean we have to subscribe to it and watch it. You actually have more control over what your kids see and how they perceive it than you might think. By using various settings and having meaningful conversations, you can help them make informed decisions about their social media feeds -- and help put things in perspective for them when they do scroll by those violent videos and images. " Subscribe by email here to make sure you don't miss a post.